The Work of Savonarola. 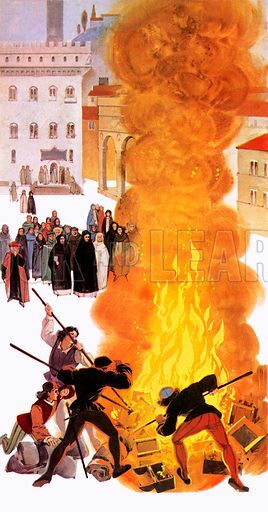 The fanatical priest, Savonarola, persuaded the Florentines to bring all their jewels, trinkets and baubles to the city square for a sin-redeeming "bonfire of the vanities". Available worldwide for immediate download up to 2,891 x 5,535 pixels.